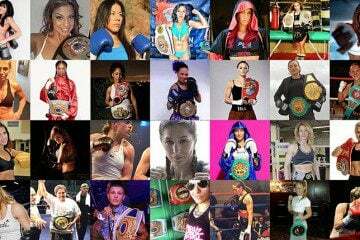 Everlast is famous in the world of martial arts and boxing. The company is internationally renowned as a reputable manufacturer equipment for martial arts and boxing clubs. 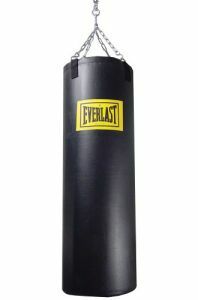 If you are just looking for a punching bag on a budget, this Everlast punching bag is your best choice. An MMA version of the heavy bag, that features leather covering underneath the foam, is also available. The Everlast 100 pound C3 is designed to be used by athletes who are into martial arts, require professional level boxing training, or those who simply want to box for fitness. This heavy bag can withstand serious punching and provides good cushioning for its users. It’s also can be easily attached to sealing with wood-beam bag holder or just hang on Heavy Bag Stand. If you want to stabilize your bag you can get a Heavy Bag Anchor. This is one of the best heavy pricking bags of 100 lb. and it is very sturdy built. The Everlast Punching Bag Foam C3 bag has a great design. The punching bag rebounds really well and it has a wonderful feel. The C3 foam tech is especially designed to disperse the punching force on the bag. Everlast C3 100 lb. comes at a price of $130 – $150 and offers the best durability and value at this price range. The C3 Foam Heavy Bag comes in black color and the C3 Foam Heavy Bag MMA comes in red. The C3 weight 100 lbs and the C3 MMA weights 105 lbs. Both punching bags measure 50.3 inches x 14.3 inches x 14.3 inches. C3 Foam Heavy Bag is covered in a poly canvas shell while C3 Foam Heavy Bag MMA is covered in synthetic leather. The mounting and hardware are made of nylon straps with a swivel hook. 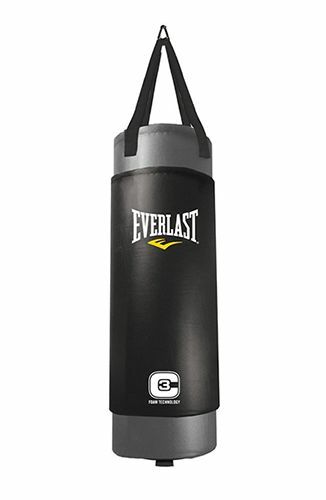 The Everlast punching bag features a special technology called Contoured Closed Cell Foam, on short C3. This technology provides increasing cushioning and disperses well the hitting force, while at the same time increases durability and maintains the integrity of the bag. The heavy punching bag is filled with a blend of synthetic fiber, natural fiber, and sifted sand. That makes it resilient to shock absorption. The heavy duty straps made off nylon with double end loops, the durable webbing system, the long lasting poly canvas sleeve, and the Nevatear shell are designed to increase the durability of Everlast C3. The Everlast Punching Bag can take intense and heavy hitting workout. The bag’s high density foam provides not only force dispersion, support and cushioning, but also can prevent moisture transfer into the foam padding. This is one of the best heavy punching bags of 100 lb. and it is very sturdy built. The C3 foam technology is made to absorb and disperse the hitting force and the bag doesn’t feel stiff like some other leather heavy punching bags. The C3 foam prevents settling as well. The bag can take strong blows and it is durable even if used 3-5 times a week. Another advantage of the Everlast Punching Bag 100 lb. C3 is the affordable price that offers great value for the money spent. Some users reported that after heavy use of Everlast 100 lb. C3 the stuffing might be settling to the bottom and that leaves the top and middle sections squishy. The surface of the punching bag is a bit rough and you can get hurt if you don’t use boxing gloves. If you are looking for a heavy punching bag at 100lbs, the Everlast Punching Bag C3 is your best choice. Overall, the product is well worth your money and provides great value and durability. The punching bag is constructed from quality materials, is well designed and can withstand heavy use. If you are looking for other lighter models of punching bags from Everlast you may consider the Everlast 4004 Traditional (40 lb. ), or the Everlast 70 Pounds Poly Canvas heavy bags. Everlast 4004 is a sturdy punching bag that sells at around $45 – $55.The punching bag features Tough Nevatear technology that guarantee that the bag will never reap, no matter how tough you train. Everlast 4004 comes in black color. The punching bag features reinforced webbing and premium synthetic leather that assures good functionality and long lasting durability. The heavy duty straps and the double end loops provide safety and security. The chain attachment can be adjusted to accommodate different user sizes. 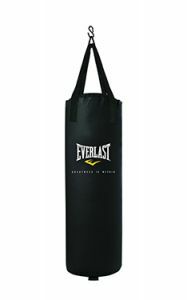 Everlast 4004 is one of the top choices of heavy punching bags. Everlast Poly Canvas Heavy Bag is priced at around $60-$70. The punching bag features a shell made off durable and rugged poly canvas. The bag has a perfect size for mixed martial arts punching and kicking. The specially blended filler of Everlast Poly Canvas provides good shock absorption. All sizes of users are easy to accommodate by using the adjustable chain. Everlast Poly Canvas Heavy Bag features a double end attachment and a webbing system for greater durability and resistance. The bag comes in black color. 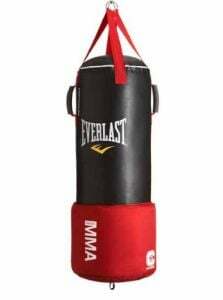 This Everlast punching bag is a good option for mixed martial arts athletes who are looking for a durable heavy bag.